Sega is resurrecting one of their best games from last generation on the PC. 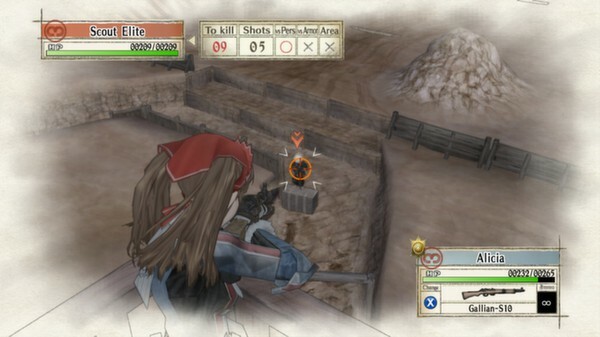 Valkyria Chronicles will be released on Steam next month. 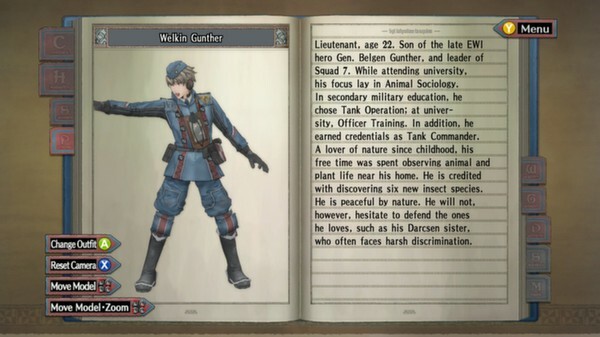 Valkyria Chronicles's plot is a little odd. It's like the developers wanted to make a World War 2 game but thought Germany owned the copyright. As a result, the game's basically a knock-off version of WW2. It's set in a fictional version of 1930's Europe being fought over by two major armies: the Empire (i.e. the Axis Powers) and the Federation (i.e. the Allies). Caught in the middle of this conflict is the resource-rich, neutral nation of Gallia. 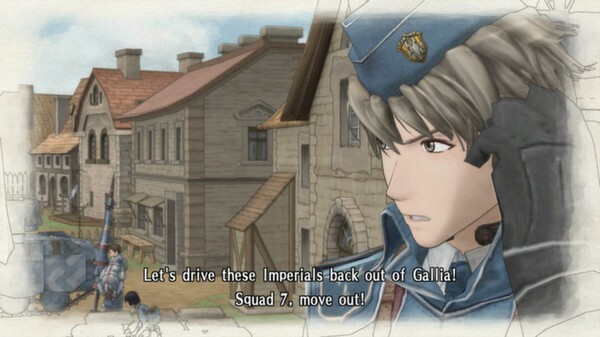 The player characters are members of the Federation's 7th Platoon trying to stop the Empire assault on Gallia. They'll use their tank and infantry in battles throughout the country. They'll face scores of Imperial troops as well as a Valkyrian, a fabled being with magical powers. Chronicles centers around turn-based battles in 3D environments. Unlike other games of that type, though, it doesn't use a point-and-click interface. Instead, players directly control the movements and attacks of each squad member in third-person view. If strategy games' combat feels too impersonal or detached for you, this game might be right up your alley. 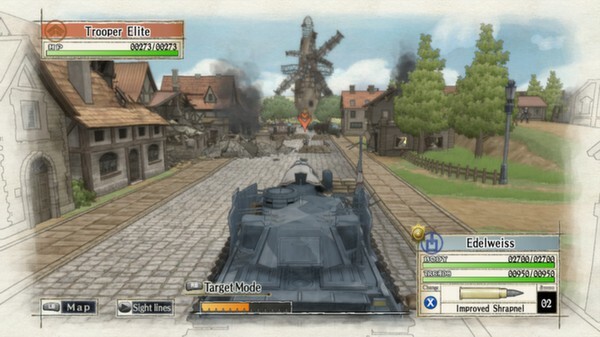 The PC version of Valkyria Chronicles also includes the four DLC packs released for the original PS3 version. Hard EX mode gives players a more extreme challenge. "Enter the Edy Detachment" and "Behind Her Blue Flame" introduce new side stories. "Challenge of the Edy" completes the set with six new challenge missions. Sega will release the game through Steam on November 11th. It'll be priced at $19.99 on launch, though you can knock 10% off that cost by pre-purchasing. 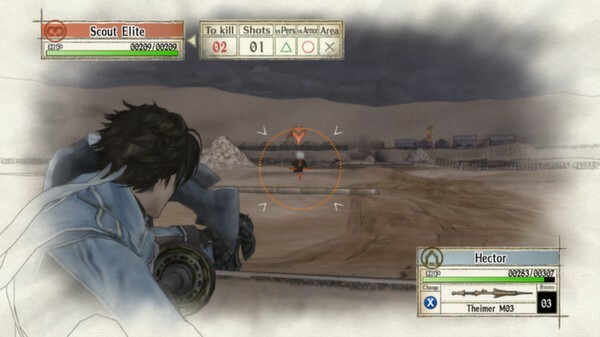 Valkyria Chronicles received solid reviews on release but the sales never matched up. Sega developed the two sequels for PSP rather than PS3, and didn't release the third game outside of Japan. As a result, many fans of the first game haven't played the follow-up installments. Maybe Sega will re-release VC2 and VC3 through Steam in the future as well?